The holidays and Disney…can it get any better? 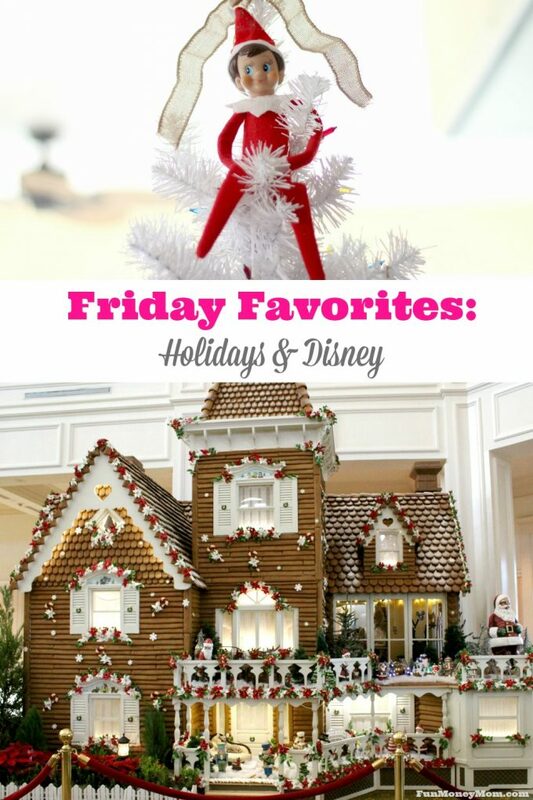 Check out my Friday Favorites to see what I’m loving this week! Hi guys! I hope you all had a wonderful Thanksgiving! Did you get up early to score some Black Friday deals or decide to stay in and sleep off all the turkey and wine? I definitely slept in…there’s nothing I need bad enough to fight those crowds. I’m planning to get started on decorating my yard. I’m way behind this year and have a lot of catching up to do! 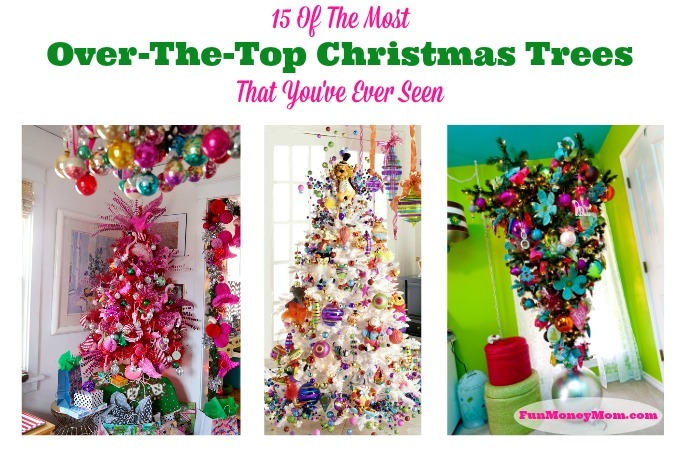 If you don’t have your decorating finished yet either, just know that you’re not alone. We were lucky enough to be invited to an advance screening of Moana earlier this week at the Disney’s Polynesian Villas & Bungalows. Since we got there a little early, we had some time to kill so we hopped on the monorail and went next door to The Floridian. 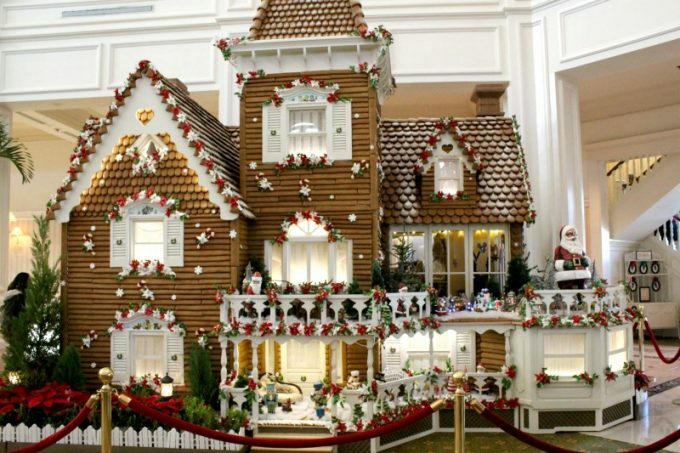 I’d heard about their giant gingerbread house and the girls and I really wanted to see it in person. Decor like this is one of the reasons I love Christmas so much and I don’t know who loved it more, me or the girls. 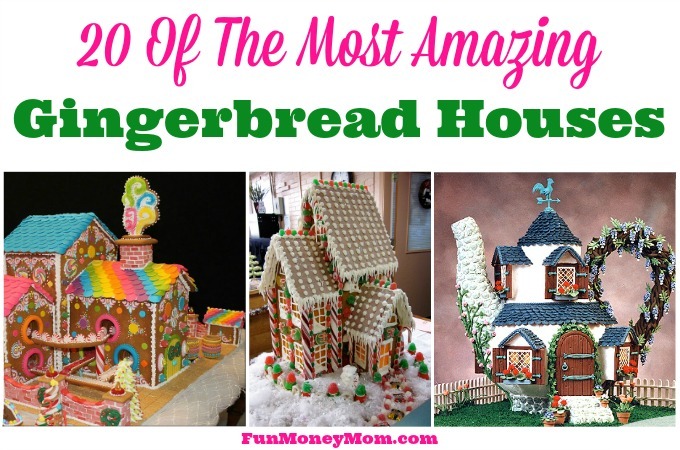 You can even go to the back side of the house to buy gingerbread treats (though we all agreed that gingerbread is more fun to look at than to eat). 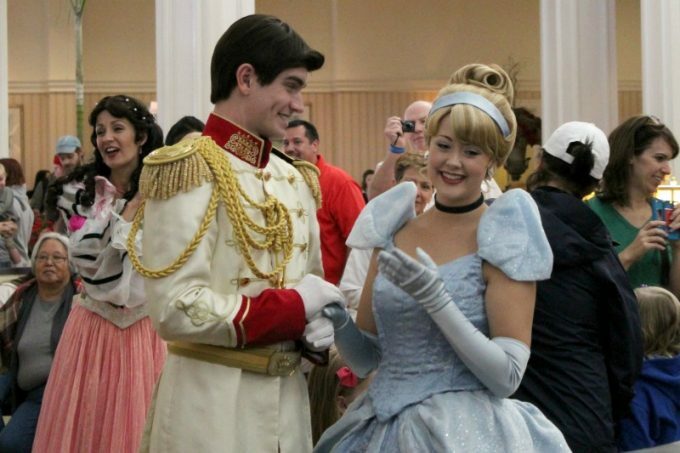 To top it off, Cinderella and Prince Charming made an appearance too. We sure picked the right time to go! 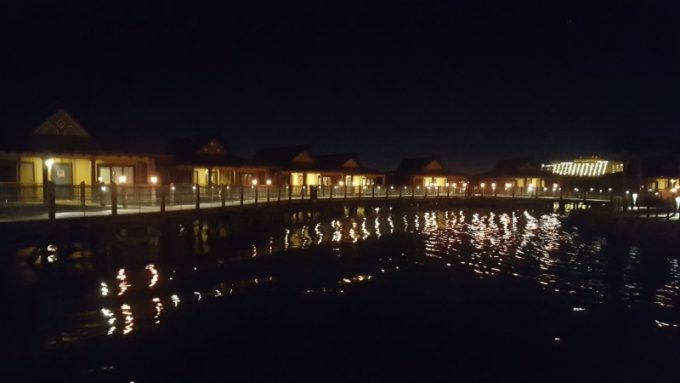 While we were at Disney’s Polynesian Resort for the Moana premiere, we took a tour of one of the over the water bungalows. Staying at a bungalow in the South Pacific is at the top of my bucket list but these are a pretty nice substitute. The decor really makes you feel like you’re in the islands, from the surfboard headboards, the artwork and the tropical hanging lanterns out back. The deck out back was definitely the best part. Not only could you see Cinderella’s Castle and Space Mountain, there was a small plunge pool, swings and speakers that played the Magic Kingdom soundtrack in sync with the fireworks show. If you want to splurge a little, this is the place to do it! 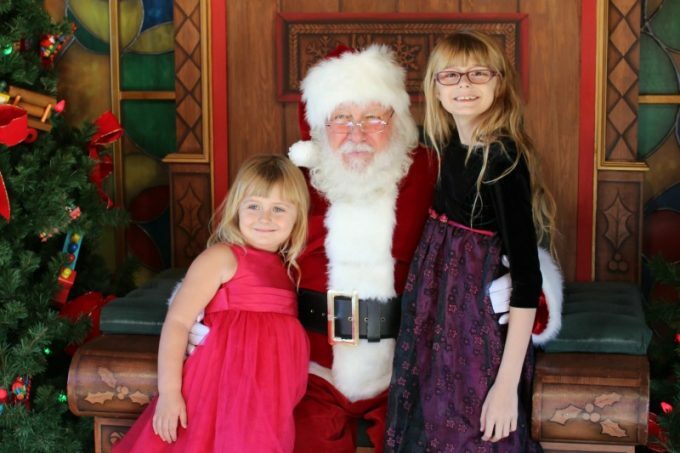 We usually pay $30 or more at the mall for pictures with Santa but when I found out he was going to be at Disney Springs, I packed the fancy, once-a-year Christmas dresses and put that on our to-do list. We met up with Santa’s “elves” to get a pager so we ate breakfast and wandered around until it buzzed (about an hour). Then we waited in the short line to see Santa and I was able to take pictures with my own camera. If you do the mall Santa, you know that’s a big no-no because you have to buy their pictures. They do take pictures here that you can buy if you’d like but you get the choice. Free Santa pix…now that’s the Christmas spirit! 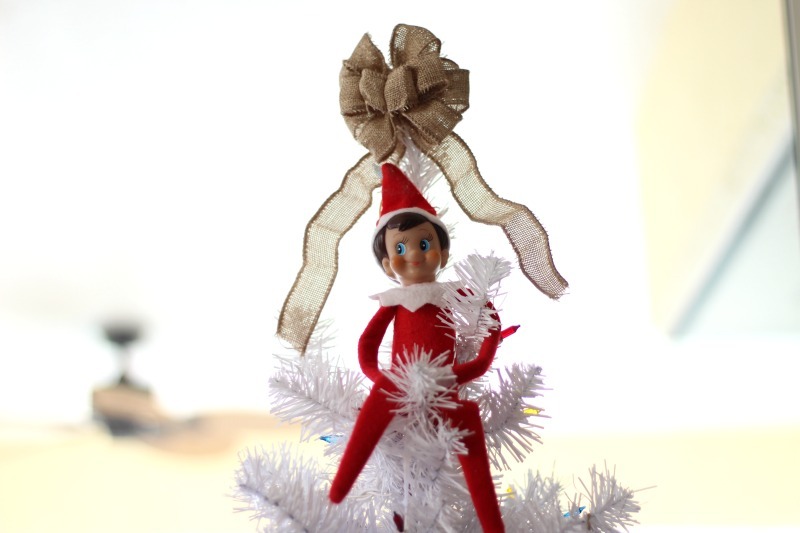 Our Elf On The Shelf, lovingly named “Elfy”, is back! The girls started looking for him as soon as they woke up this morning and were excited to see him at the top of one of our Christmas trees! 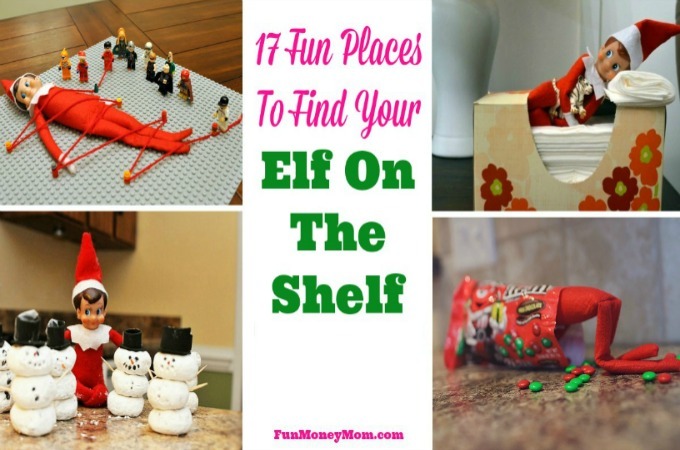 We love seeing all the different places he ends up and can’t wait to see what mischief he gets into this year. One of my favorite parts of this week was that it was so EASY! There was no getting up early for school, only one extracurricular activity and since we went to my cousin’s house for Thanksgiving, I didn’t even have to cook. Not only that, I didn’t hear a single “I’m bored” on Thanksgiving since the girls were having so much fun playing with their cousin Josh! I could get used to this, though I know it’ll be back to the regular hustle and bustle next week. What has your favorite part of the week been? Did you score any amazing Black Friday deals, see out-of-town relatives on Turkey Day or did you just enjoy sleeping in a little too? How fun! I’ve been dying to check out the Polynesian villages and I’ve always wanted to see Disney all decorated for the holidays… but we tend to avoid that time of year because of the crowds. Looks like a wonderful week! It was so much fun! If you go right after Thanksgiving and the beginning of December, the crowds aren’t as bad. I know it gets super crowded when the kids get out of school though. Sounds like you’ve had a great week- Disney AND happy kids who aren’t bored during Thanksgiving break. You got lucky!